NO. 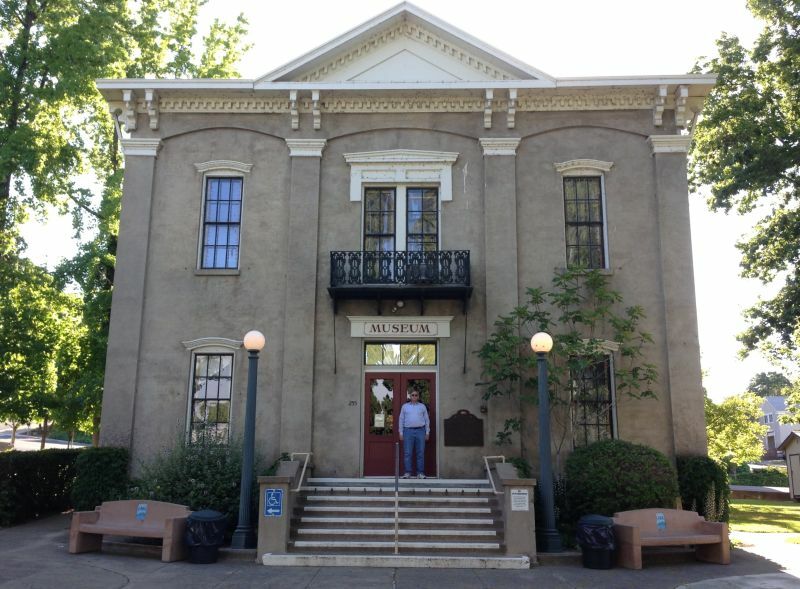 897 OLD LAKE COUNTY COURTHOUSE - This brick courthouse, constructed by A. P. Pettit in 1870-71, was one of the few buildings in the vicinity to survive the 1906 earthquake with only minor damage. 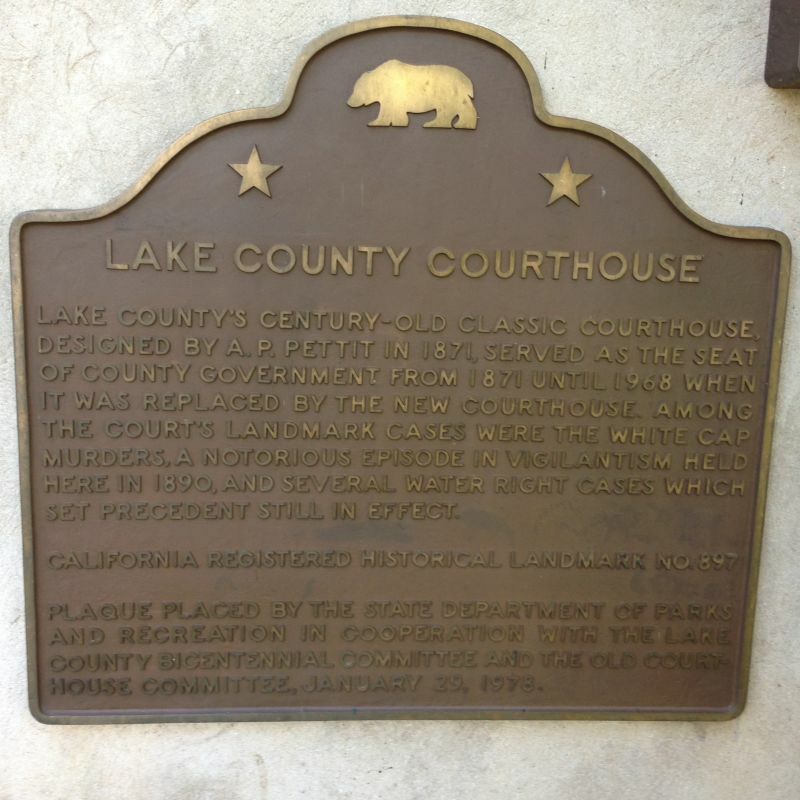 It served Lake County as a seat of government from 1871 until 1968. 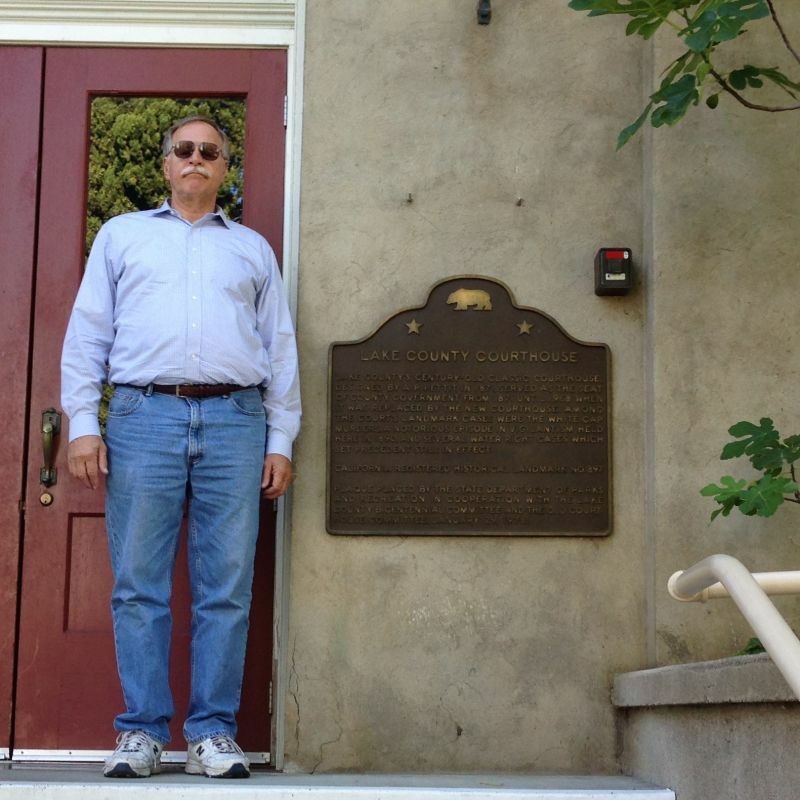 Precedent-setting trials on water rights were held here, along with the 'White Cap' murder trial in 1890.